A Fort Wayne man was sentenced Friday to 170 years in prison for killing two people and trying to kill another over a $10,000 Prada handbag in Ligonier nearly a year ago. A Noble County jury found Michael J. Johnson, 36, guilty last month in the March 5 shooting deaths of Amanda Feldstein, 39, and Justin Adams, 30, in the newly built Riverside Villa apartment complex north of downtown Ligonier. Johnson also shot at Amberly Brown but missed, and she called 911 after Johnson and two accomplices fled. Noble Superior Court Judge Robert Kirsch sentenced Johnson to 60 years each on two murder counts, 35 years for attempted murder and 15 years for being a habitual offender. The judge ordered the sentences to be served back to back, for a total of 170 years behind bars. 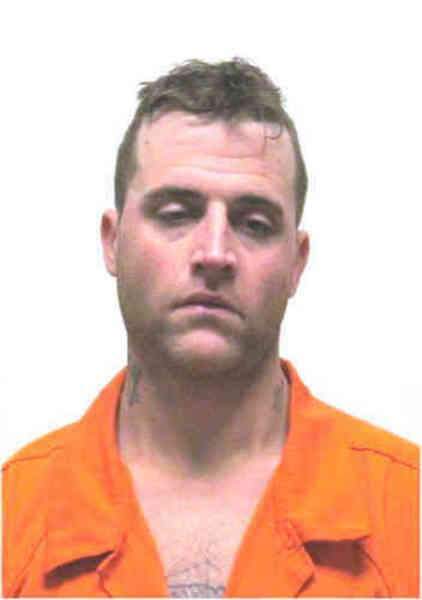 Johnson told police he went to a Ligonier apartment under the pretext of selling a man and woman methamphetamine. But he and Tiffani Elaine Cox, 31, and Kyra Justine Frost, 26, were really after a Prada purse valued at about $10,000, he told police. Johnson chased Adams through Feldstein's apartment and through the back door before shooting Adams in the back, killing him. Johnson then shot Feldstein in the head, killing her, a probable cause affidavit said. Johnson was arrested after the LaGrange Police Department stopped his car after a chase on U.S. 20. Police officers were told Cox was at Parkview Noble Hospital in Kendallville and had information about the shooting. She was taken to the Ligonier Police Department and interviewed. Cox told police she'd been with Johnson and his girlfriend, Frost. Cox said she didn't want to go but felt threatened by Johnson. Cox made arrangements to meet a friend, Amberly Brown, at Feldstein's apartment, according to the affidavit. Johnson, Cox and Frost went there to retrieve the purse that Frost believed had been stolen, according to the affidavit. Cox and Frost drove to the apartment in a Jeep. Johnson drove separately in a Chevrolet Impala. After the shooting, the three suspects drove away separately. Johnson told police he couldn't remember what happened to his gun. Cox pleaded guilty in October to aiding attempted robbery and was ordered to serve eight years of a 14-year sentence behind bars. Six years were suspended. Charges of felony murder and attempted robbery were dropped as part of a plea deal. Frost is awaiting trial. She is charged with two counts of felony murder and aiding armed robbery. Noble County Prosecutor James B. Mowery credited police, Ligonier residents and former Noble County Prosecutor Eric Blackman and former Deputy Prosecutor Wendy Gensch with bringing the case to justice.